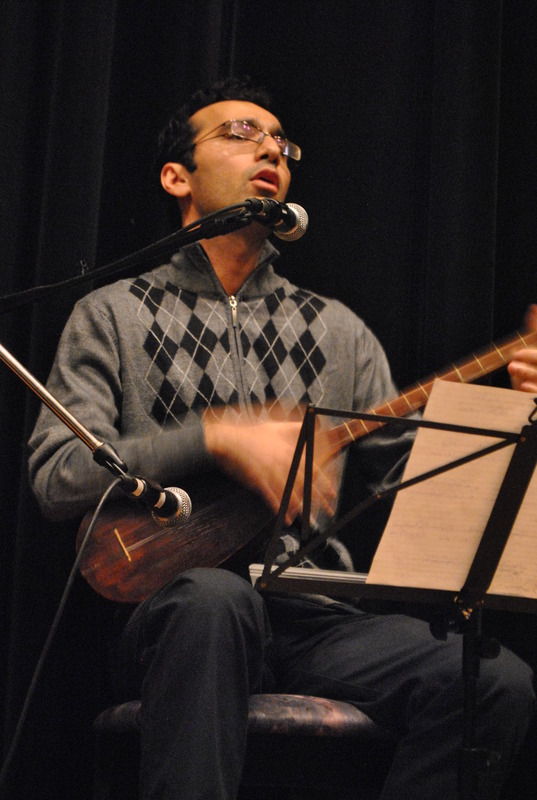 Peyman Sayyadi is a Tanbour player, vocalist and art-whistler; a Kurd from Iran, performing Kurdish and Persian traditional and folklore music. Being exposed to a diverse range of genre of music from early childhood as well as the complex society of Iran has made his music distinct and also deeply affected by the geography. He’s been immersed in mysterious Maghams of Tanbour for years and he still tries to decode the unknown parts. 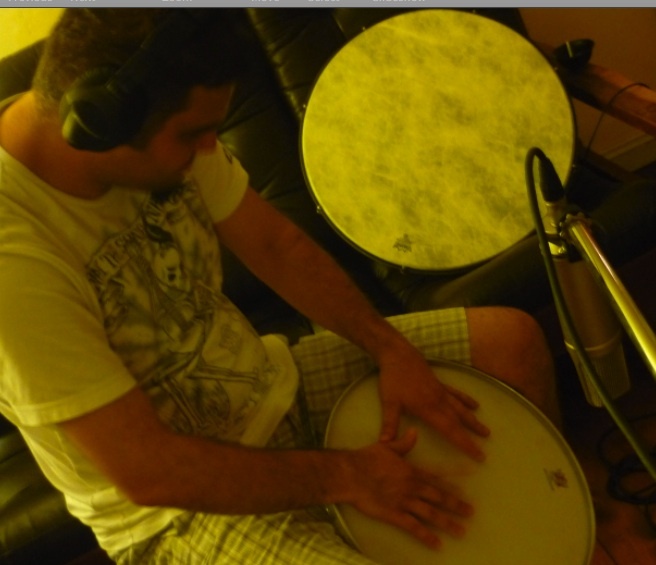 The music that he plays is mostly a combination of different types of Kurdish and Persian music added to his own personal understanding of his present moment. 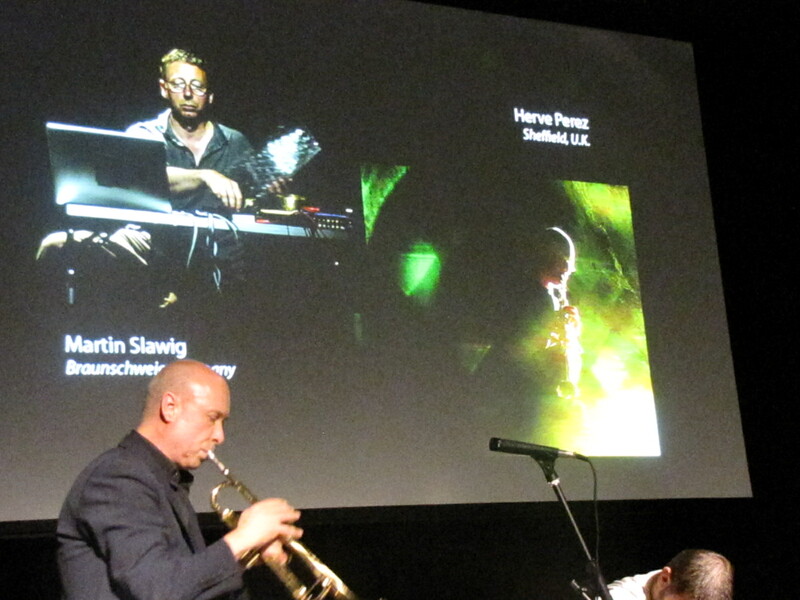 Martin Slawig is a musician, audio visual artist. He holds a pre-diploma in electrical engineering, studied percussion in Togo (West Africa), Cuba and at the International School of Percussion in Munich. Until year 2000 concerts in Germany and Europe in the field of Jazz-, Latin- and African music with different bands (Drummers Communicate, Havana, Hamid Baroudi among others). Autodidact in digital media and programming. 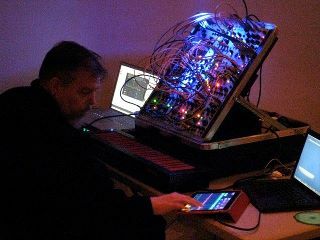 Martin works with custom built instruments, objects, field recordings and computer programming for realtime processing (max/msp Jitter). Development of sound and video installations. Compositions and stage design for theatres. Co-director of Theater im Glashaus, a group of performers with learning difficulties. Workshops and talks at UdK Berlin; University of Bayreuth; School of Visual Arts, Windsor, Canada; University of Western Ontario, Canada. Performances and exhibitions internationally. Website. 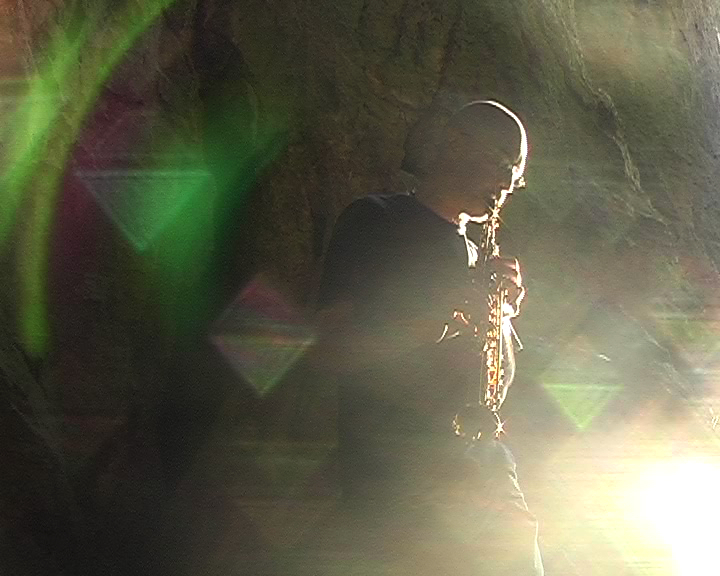 Aref Toloei is a musician, composer and educator who holds a degree in Performing Persian instrument (Tar) from the Art University of Tehran, and a Masters in Contemporary Improvisation from Macquarie University, Sydney. 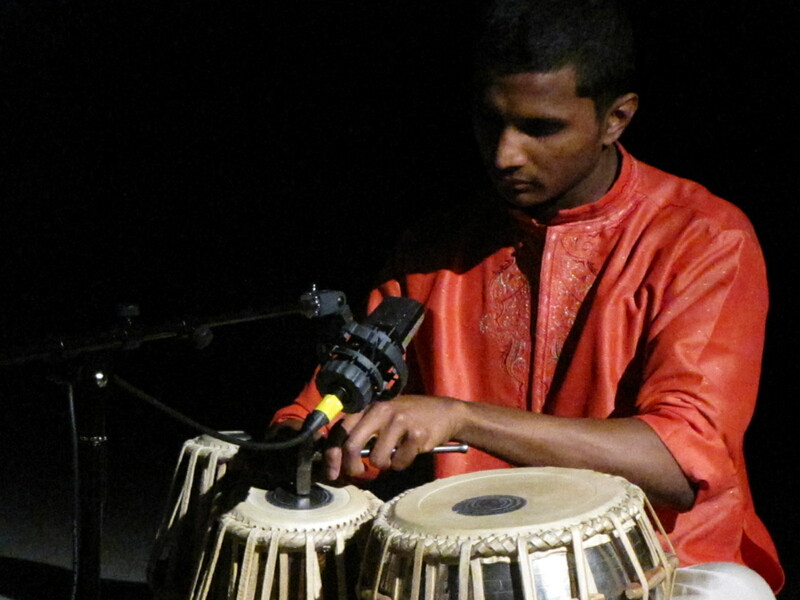 Inter-cultural interests made him to travel to India and research Hindustani music in Varanasi. He currently lectures in performance at the Chavoosh Institute, Tehran, Iran. Elke Utermöhlen is a performer, stage director, sound artist. 1984-92 Co-founder and actress of the german/peruvian Ensepmble La Otra Orilla. Physical theatre, at that time intensely involved in expanded intercultural exchange. Co-founder of LOT-Theater Braunschweig, collaborating with this venue until 2005. Initiator and organizer of international culture- and arts projects. She works with live electronics and computers, develop-s research based or/and site specific installations. 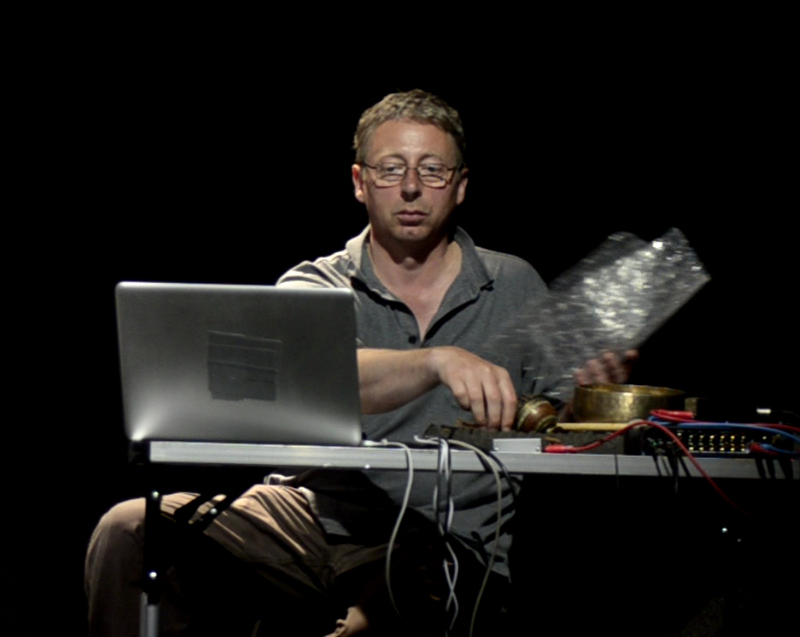 She plays improvised music: experimental use of voice in combination with real-time processing software and found objects. Since 2001 director of “TiG – Theater im Glashaus”, an ensemble of performers with learning difficulties http://www.theaterglashaus.de . 2010 artistic director of “Handicap Null”, an international theater festival for artists with intellectual disability. Since 2009 member and co-founder of “Theater-Outlet”, a regional umbrella association for independent professional theater and related arts. 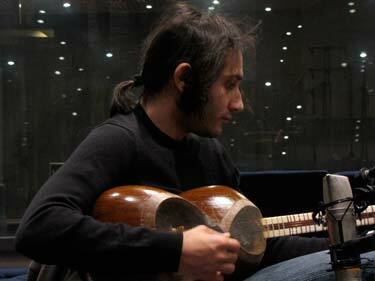 Ahmet Yavuz Uydu is a multi instrumentalist from Adana, Turkey with a background in Turkish classical singing. 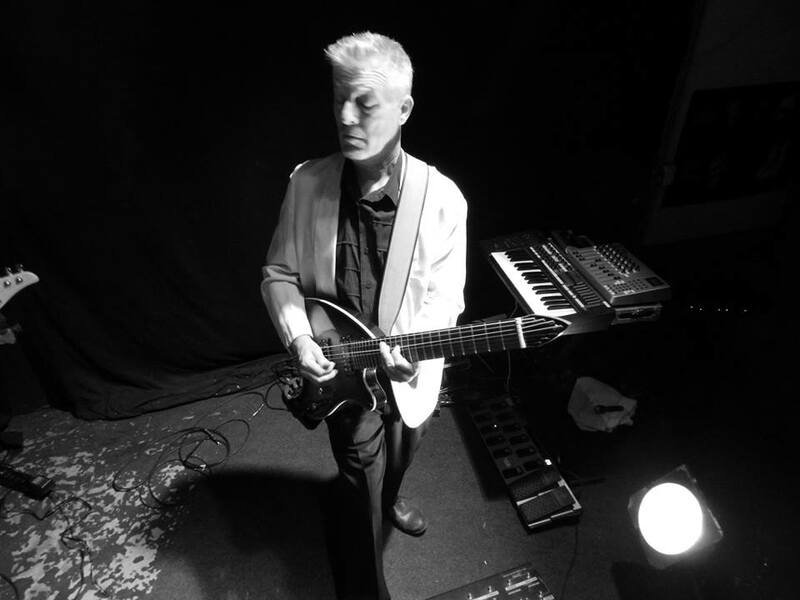 He has composed for both film and television and recently performed with Rafet El Roman at the Enmore Theatre. 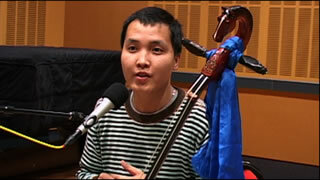 He performs with Oud, Bendir, Cumbus and electric bass.